Analysis: Joan Burton’s party has gone from 7 per cent to 14 per cent in the latest opinion poll. But why? THE BIG NEWS from the latest opinion poll is the doubling of support for the Labour party in recent months with a jump from 7 per cent to 14 per cent. The finding in the Behaviour and Attitudes Poll for the Sunday Times yesterday is the most significant change for any of the four main political parties and a welcome boost for its new leader Joan Burton. Burton herself is the second most popular party leader in the country trailing only Sinn Féin’s Gerry Adams. At 45 per cent support she has significantly improved on her predecessor as Labour leader and Tánaiste Eamon Gilmore who was at 37 per cent before he resigned after the disastrous local and European elections in May. So what’s the reason for the big jump in support that’s being dubbed ‘The Burton Bounce’? This one is obvious. Gilmore had become more and more unpopular over the last three years and having failed to achieve at least 10 per cent support in the May elections he felt it was time to step down. His deputy leader was the most obvious successor and Burton ran a solid if unspectacular leadership campaign, trouncing her rival Alex White and assuming the leadership of the party with a strong mandate from its members. Despite being in charge of a department that has wielded some of the harshest welfare cuts in recent years Burton remains one of the most popular ministers in the country so it’s no surprise that voters have more time for her than they did for Gilmore. As new Labour leader Burton has been allowed to freshen up her ministerial ranks and has sought to promote several of those first elected to the Dáil in 2011 including Alan Kelly, Alex White, and Gerald Nash. This has resulted in the old guard of Gilmore, Ruairí Quinn and Pat Rabbitte being shown the door. Whatever about Gilmore and Quinn there is no doubt that Rabbitte was a magnet for voter negativity. Many will recall his often misquoted and misinterpreted ‘isn’t that what you do during an election’ line about Labour’s infamous ‘Every Little Hurts’ poster. His noisy departure to the backbenches will have been welcomed by some in Labour who privately felt he was damaging the party’s perception among voters. The arrival of fresh faces in Cabinet has led to plenty of soft media interviews in recent weeks where the likes of new Environment Minister Alan Kelly (who is also the new deputy leader) has talked up plans to tackle the housing crisis in Dublin, junior justice minister Aodhán Ó Ríordain has talked about reform the system of Direct Provision while new rural affairs minister Ann Phelan wants to do more for rural Ireland. In addition, Burton has set out her main priorities including tackling falling wages by setting up a low-pay commission. She has also talked about re-prioritising the push for a deal on legacy bank debt. Meanwhile, Public Spending Minister Brendan Howlin has been out in recent weeks playing to Labour’s base by mooting the incremental reversal of the public sector pay cuts in the coming years – much to the annoyance of Fine Gael. How much of all this talk to voters actually pick up on? Probably not a lot but broadly when they hear a new and younger Labour minister setting out new priorities rather than an old and long-serving Labour minister telling us it has to be this way because of Fianna Fáil that can’t do any harm. Beyond the fact there’s a new leader the biggest reason for the jump may be the fact that everyone is on their summer holidays and the government, and particularly Labour, hasn’t had a chance to mess anything up as it appeared to be doing for much of the first half of the year. 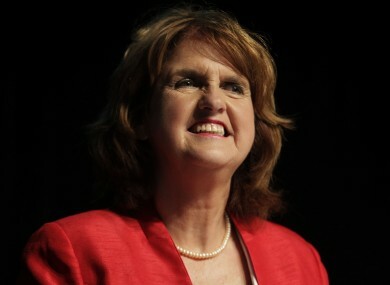 Burton was elected Labour leader at the beginning of July and over the following fortnight she hammered out a new agenda, appointed some new ministers and then everyone went off on their holidays for two months as the Dáil went into recess in September. All of which appears to have benefited Labour. The challenge now is to maintain this support when TDs return next month. Email “Why has Labour's support doubled since May? ”. Feedback on “Why has Labour's support doubled since May? ”.